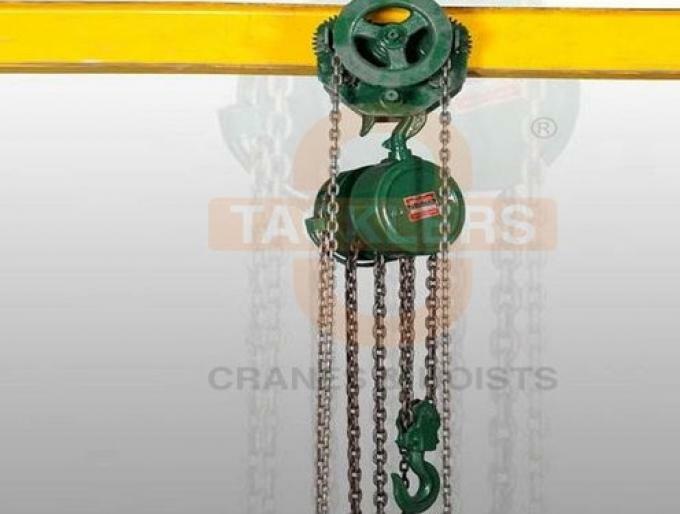 ‘TACKLERS’ Techno Industries make Manual-Hand Chain Pulley Blocks are available in 11 varying capacities ranging from 0.5 Tone to 30 Tones as per IS-3832 specifications. The Rigid Frame is built from steel plates with high factor of safety. Steel forged Hooks are confirming as per IS–8610 & fitted in upper arm block made out of heavy duty S.G. Iron / Malleable Casting. Gears are made from Nickel-Chrome / Alloy steel case hardened. 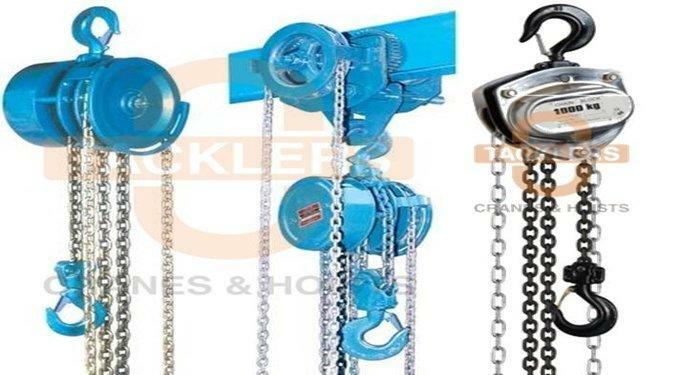 Compared to the Light Duty Chain Pulley Block, “TACKLERS” are rugged. Moreover, the higher hand-wheel diameter reduces efforts and increases vertical travel.